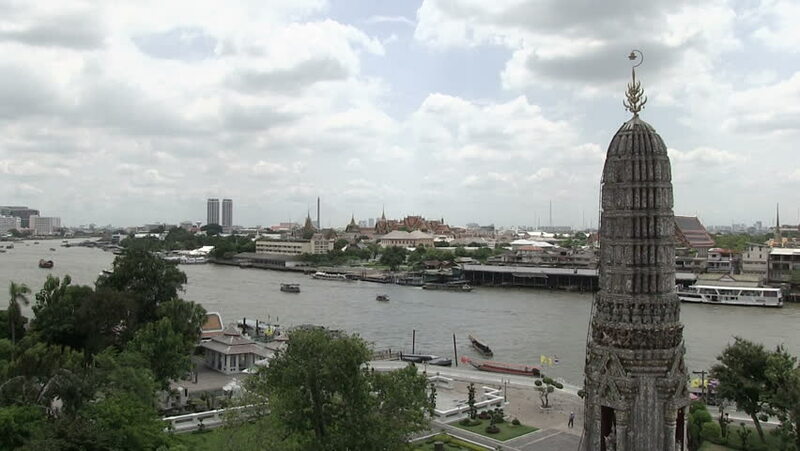 hd00:08Bangkok River and Temple View. hd00:21BANGKOK, THAILAND- APRIL 30: Chao phraya river traffic on April 30, 2012 in Bangkok. Bangkok is one of the well know place for visit in Thailand. 4k00:19View Kotelnicheskaya Embankment Building, Moskva River And Floating Bridge Of Zaryadye Park. View from Moskvoretskaya Embankment, Moscow, Russia On September 11, 2017 In Moscow, Russia.